There are no surviving documents from our two Paydirt leagues. In my notes, I have a mention of playing the 1978 Green Bay Packers in the league. 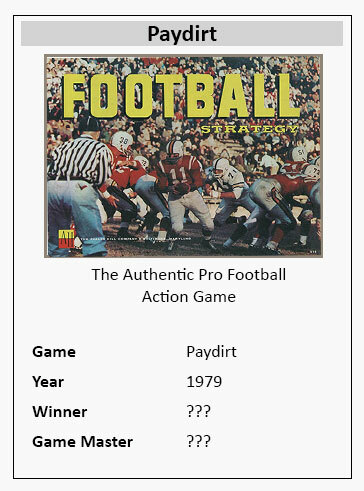 I bought a new copy of the Paydirt game in 1979 - which had the teams from the previous year, 1978, included. So, the dates match. 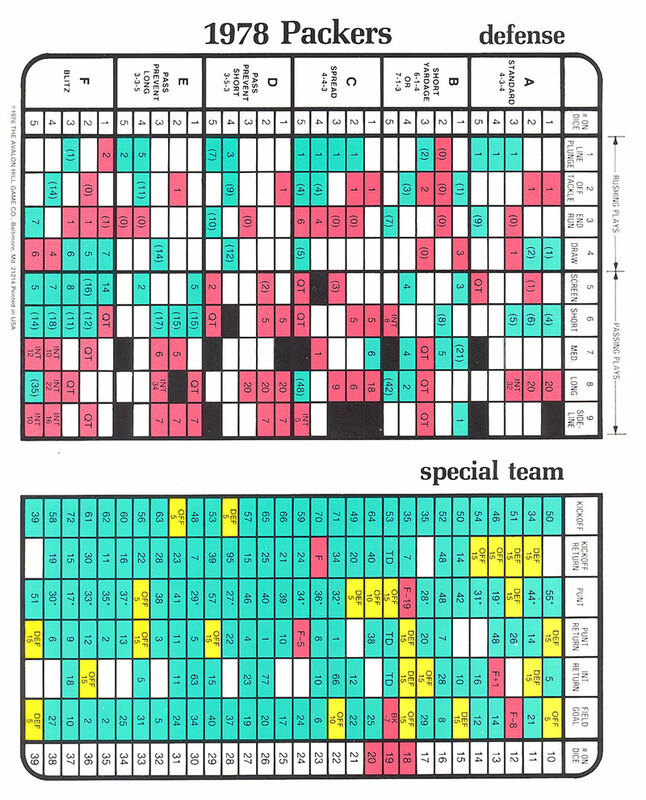 The league was designed to mimic the Bowl Bound league from the previous year, but no record of who won the league (not me) exists. 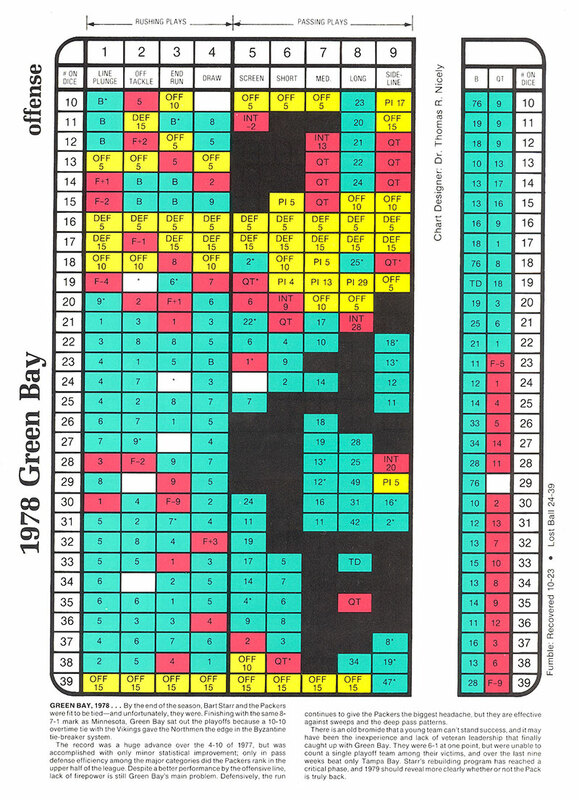 I have included my copy of the 1978 Green Bay Packers below. Again, I still have the game on my bookshelves waiting for a match.